So, you’ve booked yourself tickets, now it’s time for the VIP treatment from Priority to really start. 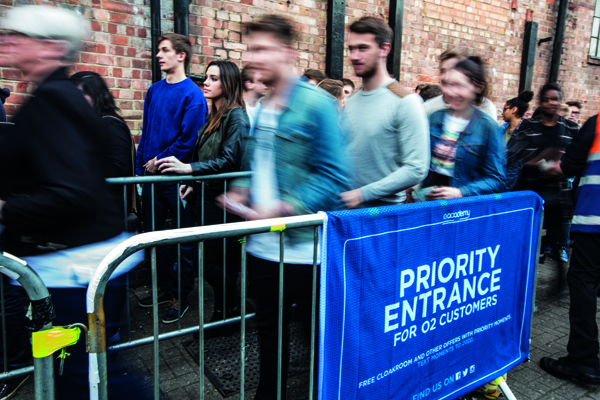 Whichever venue you’re heading to, there are loads of perks – fast-track entry, hang-outs, 2 for 1 drinks and free cloakroom just for O2 customers. Even if you're not on O2 you can still get deals on drinks, help from our all-knowing O2 Angels and relive the moment with O2 Academy TV. The heavenly, and oh-so-helpful services of the O2 Angels. Keep your eyes peeled for our staff sporting a pair of angel wings on their back. Line-skipping, fast-track entry at our venues. Search 'Priority' in your app store and you'll find this offer under 'Our Picks'. Just download the promo code and show it to an O2 Angel or our venue staff, who'll show you the way to our Priority queue lanes. Worry not, you can stash your stuff for free. Just search Priority in your app store, you’ll find the offer under 'Our Picks' and then 'O2 Venue Offers'. Download the promo code and just so it to our oh so helpful venue staff. You can get either two Somersby ciders or Carlsberg Export beers or two selected soft drinks for the price of one, depending which of our venues you’re at. Step 1: Just search Priority in your app store, you'll find the offer under 'Our Picks' and then 'O2 Venue Offers'. Step 2: Download the promo code. Step 3: Show it to our bar staff and voila! Get VIP treatment for the night: hang out in our exclusive Priority rooms and even enjoy a free drink - on us! 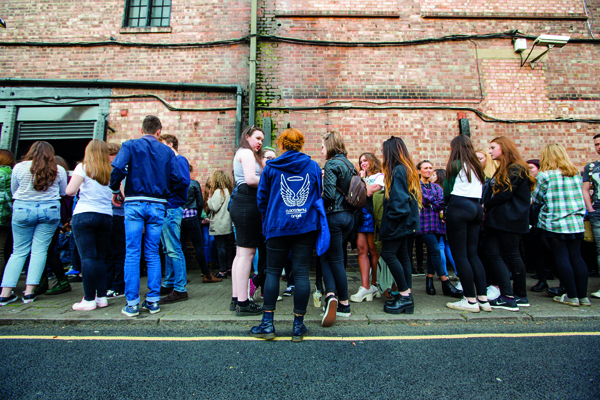 Our O2 Angels will be circling the queue on the look out for fans to upgrade to VIP status at selected shows. Just search 'Priority' in your app store, you'll find the offer under 'O2 Offers' and then 'O2 Venue Offers'. Download the promo code and just show it to an O2 Angel. Easy. No more losing battery (and your mates) – we’ve got free phone charging for all our customers, not just those on O2. There are chargers in every venue cloakroom – just seek one out and ask our staff; they'll be happy to help. Backstage interviews, exclusive live videos, the world’s biggest acts and insider access to our amazing venues. Right here at O2 Academy TV, get closer to the music and venues you love.